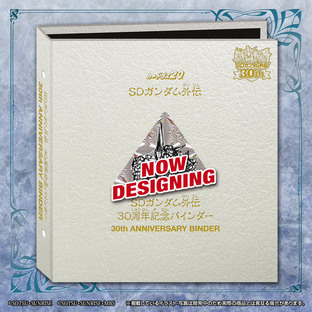 SD Gundam Gaiden 30th Anniversary Binder is now released! Let's celebrate! 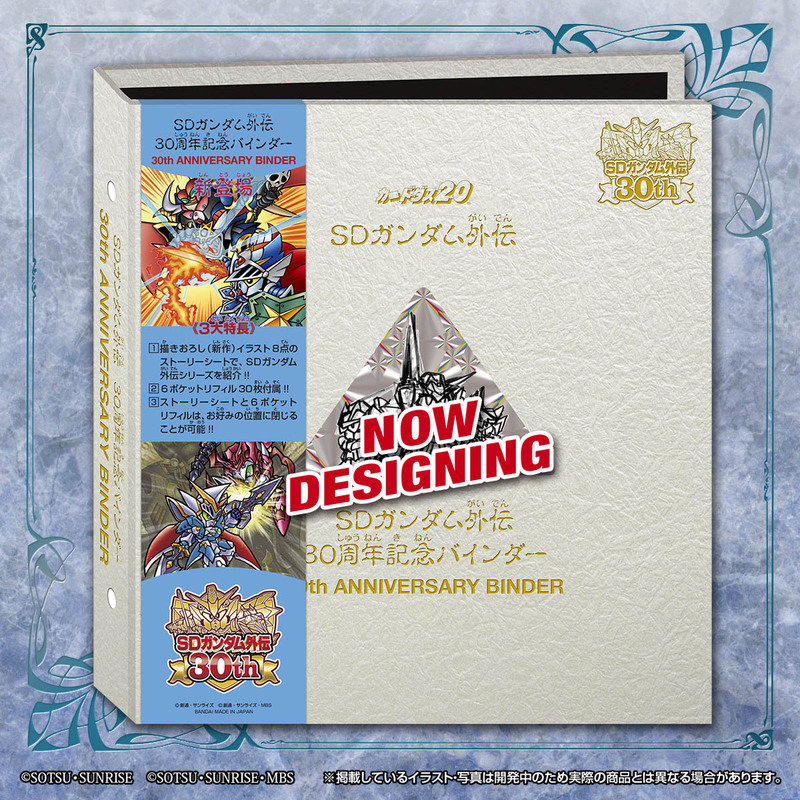 The binder cover design and specification are newly arranged, based on the classic design of "SD GUNDAM GAIDEN MANUAL FILEBOOK VOL.1"! 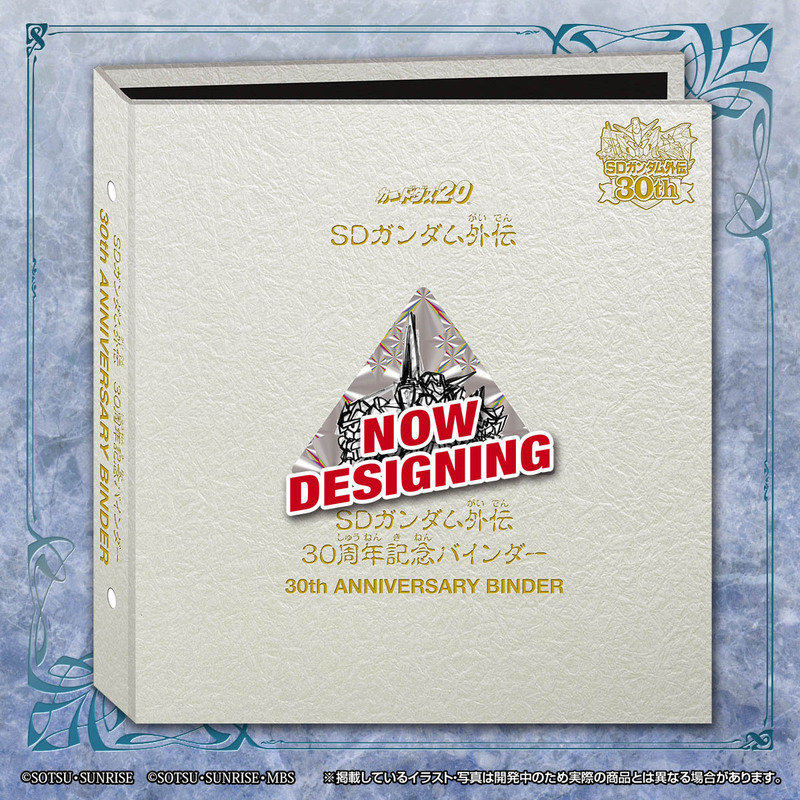 Also, there are 8 types of Story Sheets showing the storyline digest of each series which are able to insert inside the booklet freely. Each of the Story Sheet is designed with new illustrations! 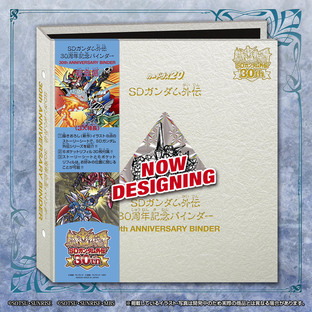 ※The design of this product is based on "SD GUNDAM GAIDEN MANUAL FILEBOOK VOL.1". They are not in the same specification.